When this works it's amazing. We have a lot of pets, and it really helps control the hair problem. I do not usually buy extended warranties, but this one is well worth it. This is our 3rd Neato vacuum and we don't plan on ever living without one. Had a rhoomba before. This is better, follows a pattern for cleaning instead of just random bump and go. Used for multiple vacuuming so far and it's been awesome. Navigates everywhere and doesn't get stuck (does not like tree skirts, though!). 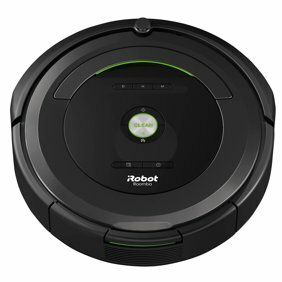 Cleaning is easy and battery lasts for around 90 mins. Recharges and returns to cleaning ( with a minor adventure) to finish the rooms. Would buy one for everyone in the family! Bought this over a month ago and we LOVE it!! It cleans our hardwoods and carpet so nice. It doesn't bang into chairs and walls like our old one did. Makes nice straight patterns in the carpet. It's amazing that we have THAT much dirt in the dirt bin after each time we run it. Greatest thing I ever bought! This vacuum works great! It took a few times to get to know my house and get back to the charging station. I have a combination of hard floors and carpeting and it picks up debris very well on all types of floors. I have a dog and a parrot and this vacuum takes care of all the dog hair and bird food that escapes the cage. I have learned a few items that must be "robot" proofed before vacuuming, so I only manually run it instead of scheduling automatic runs. The Neato Botvac D80 works like a charm. We have a split level so we have to move it around from space to space but each charge finishes a level and under the bed is spotless again. We bought this 4 months ago and very glad we did. We have two dogs and they shed slightly all the time. Our little Botvac cleans better than we do with our old vacuum. Great help on keeping up with pet hair, i just set the schedule so that it cleans when im asleep and wake up to a clean floor. The only thing i would change is the size of the dirt bin. Have to empty it every 2 days but other then that its a great product. This is the 2nd Neato I've owned. We bought the original one some years ago and it finally died. It was going to be more expensive to repair it and besides, the technology had improved so much, I wanted to the new one. I also own a Rhumba, which has better battery life and a couple of other nice features but the Neato is MUCH smarter. Much better software, although both pick up pet hair fairly equally. Would probably work pretty well in a fairly clean room with few or no obstacles. Obstacles, and a prediction for turning left when encountering an obstacle tend to cause it to get "trapped". Runs for about ten minutes on a charge and then has to return to the dock for charging which means it doesn't cover much ground before recharging, especially if there are obstacles. I got this a month ago and it didnt' work right from the gitgo. I'm taking it back and trying another one as my daughter has the same model and loves it.